Boil salted water and cook corn for 3-4 minutes. 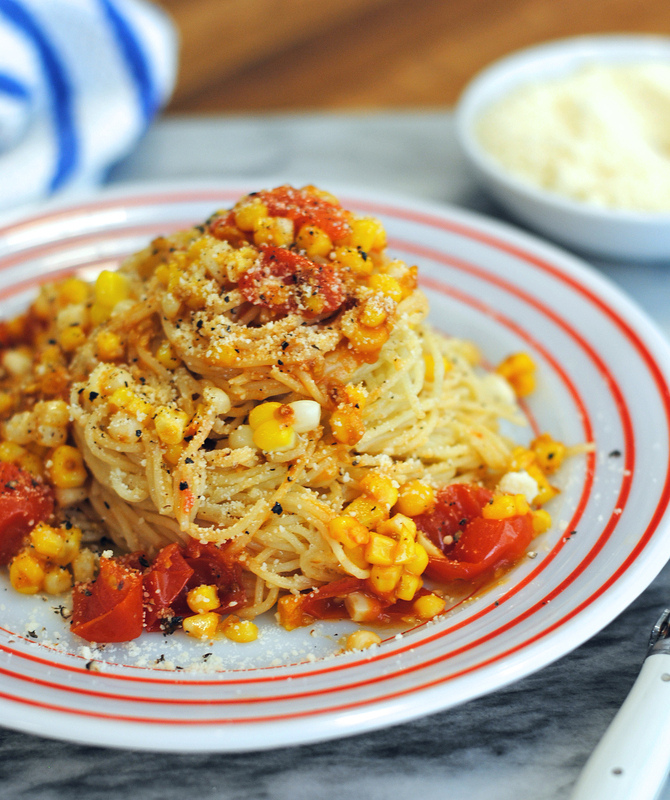 Remove corn from water, and return water to a boil, cooking angel hair to al dente. Reserve at least ¼ cup of pasta water. 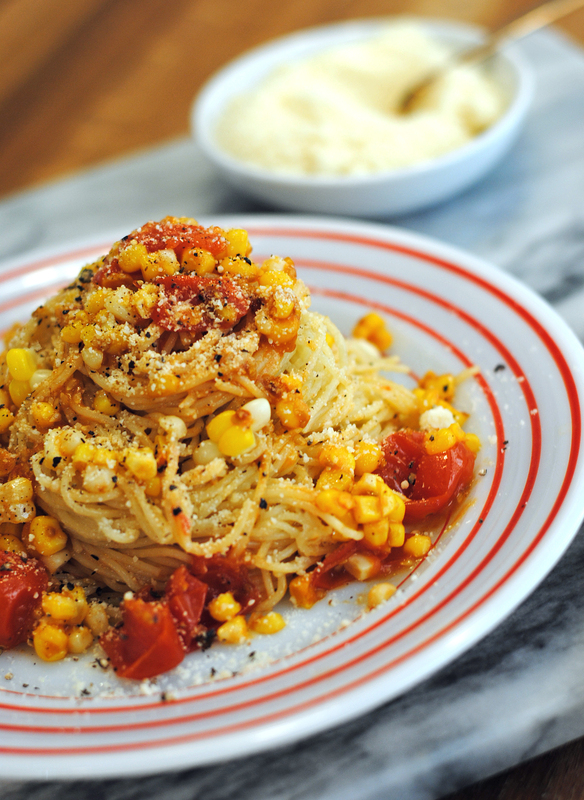 While corn and pasta are cooking, half tomatoes, sprinkle with salt and pepper and sauté in a pan for 5 minutes with a drizzle of olive oil. 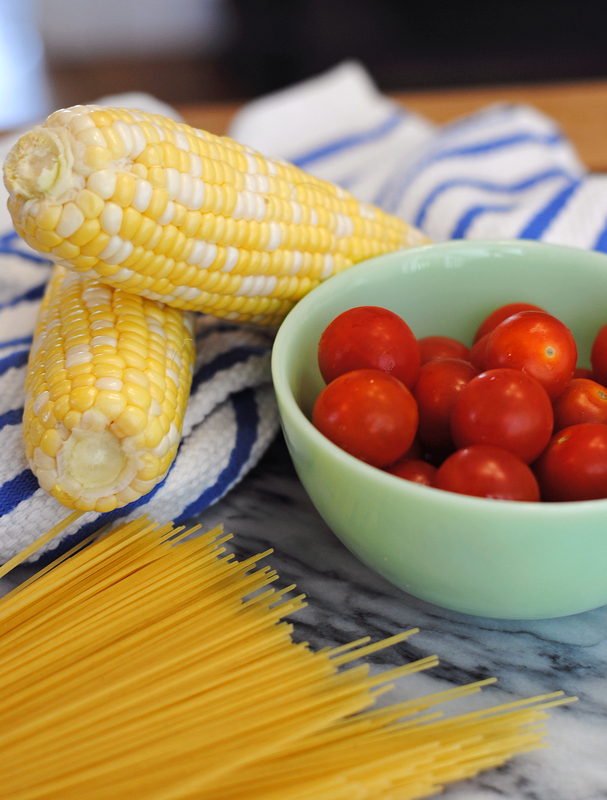 Use a sharp knife to remove corn from the cob and add to tomato mixture for last 1-2 minutes. Over low heat, return angel hair to the pasta pot and toss with of butter, salt, and a generous amount of pepper and parmesan cheese. Slowly add ¼ cup of pasta water back into the pasta and continue to toss so the pasta gets coated in the cheese, butter, pepper and pasta water. Add more of the reserved water if necessary. 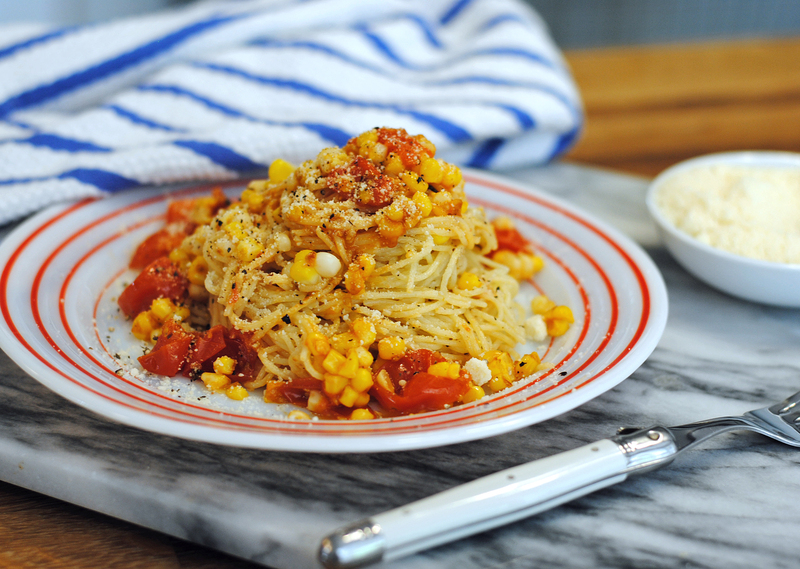 Fold in the corn and tomato mixture and serve with fresh herbs and extra parmesan cheese. Setting Up A Margarita Bar. BHG StyleMaker + A Fall Appetizer.